Live Band and Entertainment = dancing all night! 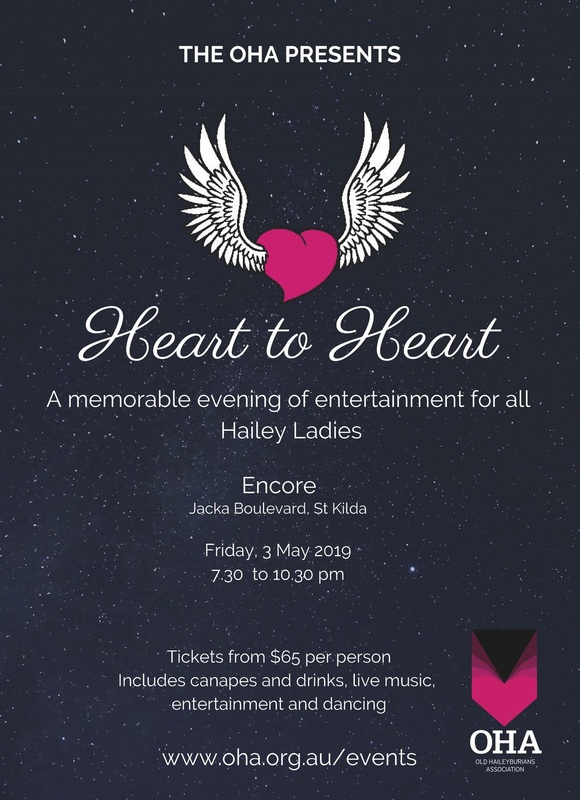 Ticket prices are subsidised by the OHA for all members of the Haileybury community such as past female students, female Haileybury staff and current and past female parents. If you wish to bring a female friend or relative as your guest, we offer these tickets at cost. Ticket numbers are capped and we apologise in advance if this event sells out. If you are interested in promoting your female-oriented business by displaying a pop-up stall at this event, please email your expression of interest to stayconnected@haileybury.vic.edu.au. Limited opportunities are available. We love to support those who support the OHA! Due to costs incurred, the OHA accepts ticket transfers and refunds up to 7 days prior to all events.